around here big bike trackdays are expensive ($200+ generally). kart track days are cheap - you can get an annual membership at Stockton for $300 I think, and whenever there isn't an event you can ride without paying. Or, $40/day for a non-member. Sears Point kart track is $60/day. What's up with the memberships anyway? When we reached cars we could pull up to any track and run. Just pay the gate and tell em what class and they'd give you a number. I don't understand what the membership does. Up here we have training days. I think three different organisations on a weekly basis. Usually they charge 10-20€ for an hour of track time. And an hour is more than enough. You either register during the day and go tuere, or hope there is some free spot. Then theres track days, i think they were like 60-80€ for a day. I'm planning to go racing this year. I've drag raced, done top speed stuff and a few track days, but never any proper circuit racing. I did get my licence about fifteen years ago, but never did anything with it due to cost. Here in the UK we have to have an ACU (Auto Cycle Union) licence to race, for which we must have a club licence, a medical and do a one day training programme to get the licence, but I'm only at the stage of building the bike (the 'Hack to thrash' project). A new licence holder has to run with a reflective novice bib until they've achieved a number of race finishes at different venues. 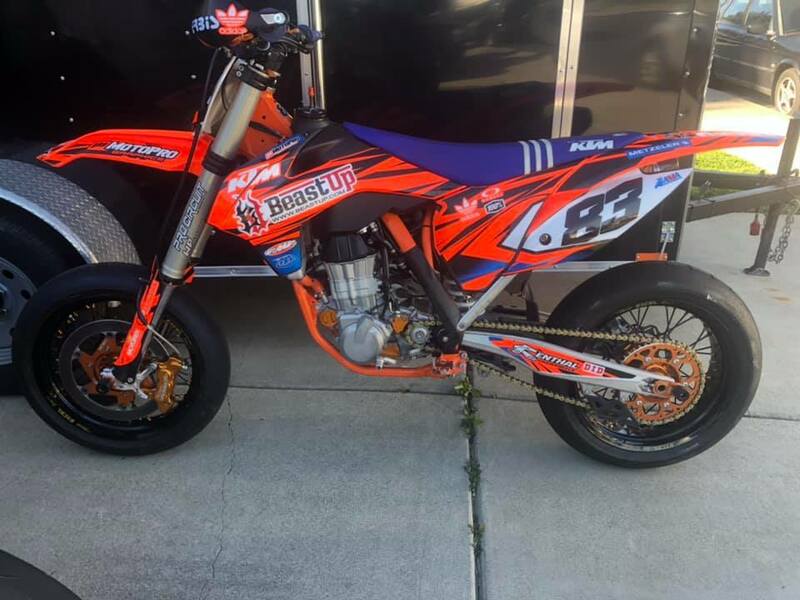 Mini moto racing doesn't seem to be very popular around here in recent years but I have a CR85 and used to have an old YZ80 that I would do track days with. There's a small group of friends that run minis with me. Maybe I'll get back into it this year.